• Italian slim fit; small fit! Classic beige men's overcoat from Italian brand Paul Miranda. 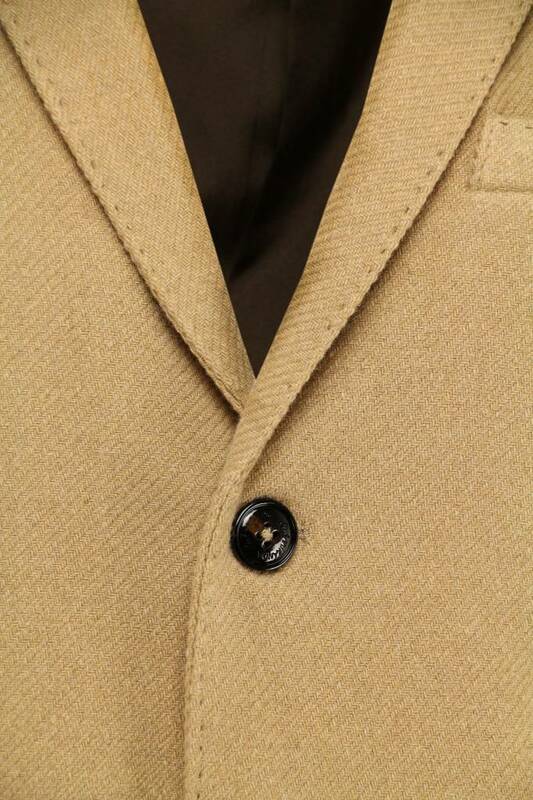 This beige coat is handmade from a wool blend and the jacket has a diagonal pattern in the weaving. 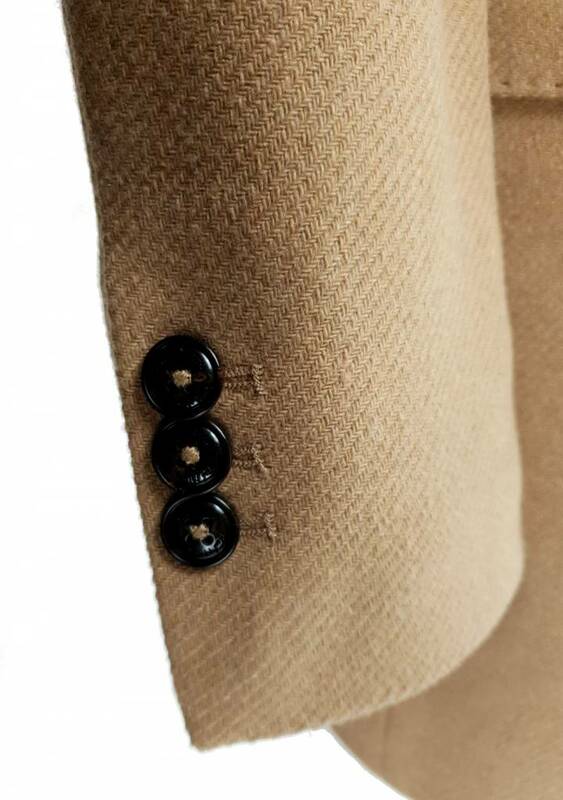 On the front are two flap pockets and a chest pocket where the inner lining can be used as a pocket square as shown on the picture. 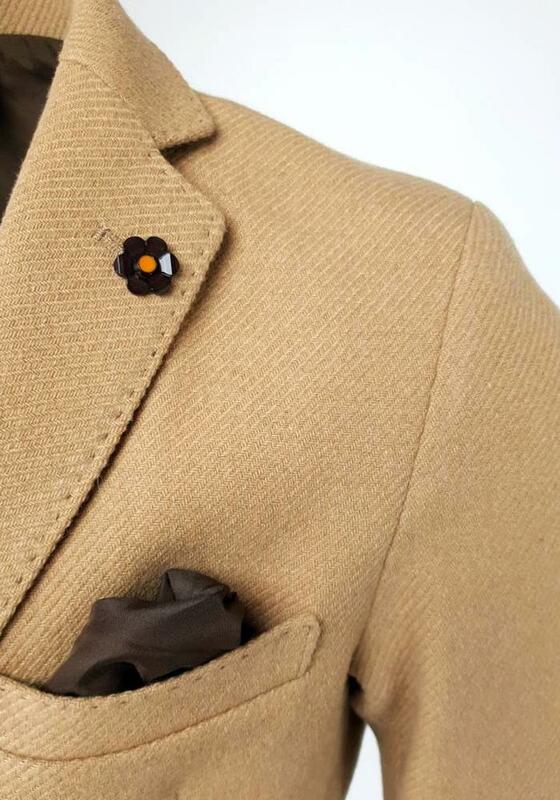 This Paul Miranda overcoat has striking stitches on the jacket and on the notch-lap is a decorative flower. 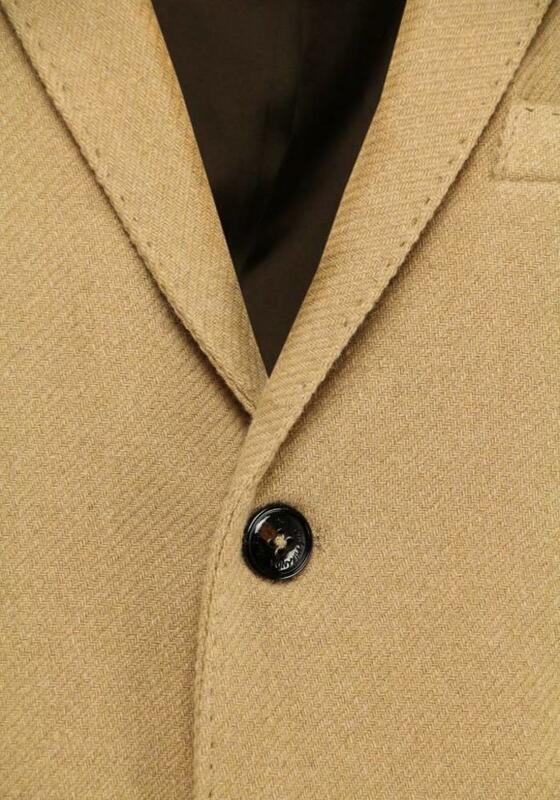 On the inside you'll find an inside pocket. 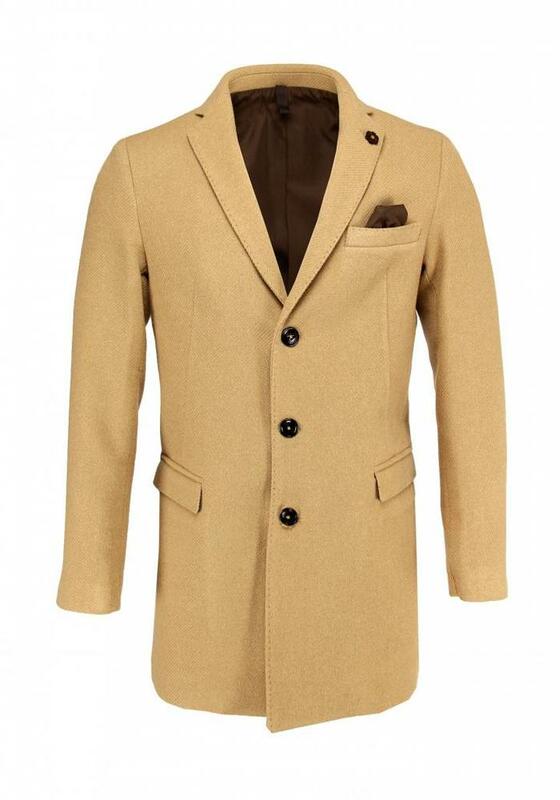 The coat has a clean cut but and a sophisticated slim-fit. We do recommend ordering one size up. 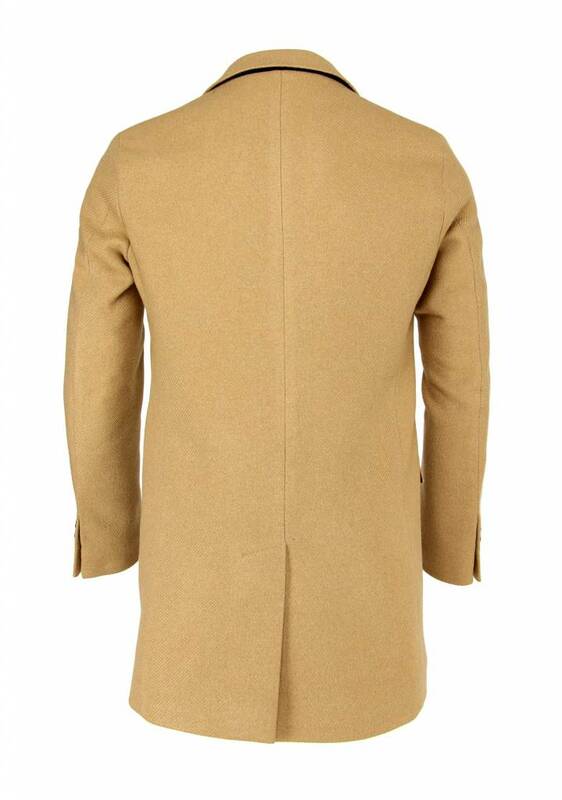 Made of 54% acrylic, 23% wool, 20% polyester, 3% other.